Welcome to POLITICO’s special edition European Elections Playbook series. I’m Ryan Heath, political editor at POLITICO, and I’ll be exploring the intersection of national and European politics in 15 EU countries in weekly newsletters up until the May 2019 poll. 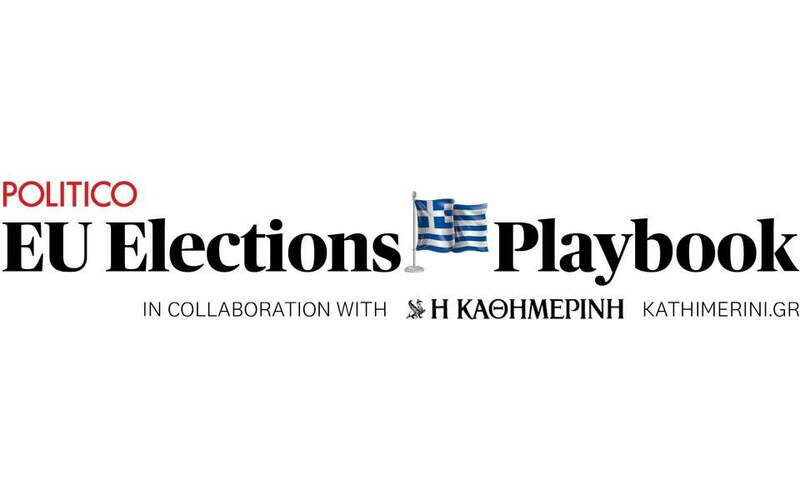 This week’s edition comes to you in partnership with Yannis Palaiologos, Eleni Varvitsioti, Tom Ellis and Aristotelia Peloni of Greek news outlet Kathimerini. Next week: the Baltics Playbook. Like what you’re reading? Sign up for our European Elections Playbooks and occasional major news alerts. POST-BAILOUT BLUES: International media have been quiet on Greece’s economy since August, when the country’s third bailout was finally completed. According to European Commission spin, everything is rosy. Yet Greek 10-year bond yields remain stubbornly above 4 percent (German bond yields are well below 1 percent) and, despite eight years of reforms, Greece has slipped four places in the World Economic Forum annual competitiveness report and five spots in the World Bank Doing Business ranking. So why aren’t you hearing more about these disappointing results? “Nobody wants to worry about Greece now that Italy is turning into a real problem,” one EU official told Kathimerini. Nick Malkoutzis, editor of economic and political analysis website Macropolis, has these lessons from the Greek bailouts as the situation in Italy gets tricky. Fiscal drag: Unlike Italy, Greece beat its budget targets this year, and may do so again in 2019. How? It cut public investment in 2018. Next year it has pledged to get rid of a tax break for young entrepreneurs. Pensions were spared another cut, a political win for the government, but it’s hardly a way to boost growth rates, which are regularly revised down from initial estimates. AN EXPLOSIVE MIX – GREEKS AS ‘SUPERIOR’ SUPPLICANTS: Since 2009 Greece has repeatedly assumed the role of supplicant to its European partners in order to avoid a disorderly default. Third parties took decisions about Greece’s future over its head, and the externally generated migration crisis created unsustainable conditions in some Greek islands. That created a fragile domestic politics, of broken promises and a battered political establishment. Fertile ground for the far right: Thrown into that mix are findings by researchers that 89 percent of Greeks consider their culture superior to that of other countries (the highest percentage in the EU, according to Pew Research), and sympathy for Vladimir Putin as an ideal political leader (according to non-proft research organization DiaNEOsis). This mix of conservatism, pride and disrupted politics has sometimes found its expression in nationalist outbursts, including as the Former Yugoslav Republic of Macedonia (FYROM) moves closer to ratifying a new name to resolve a long-standing dispute with Greece, and a brutal attack by a far-right mob against the liberal mayor of Thessaloniki. What Greeks say they are worried about: Today it’s immigration, a shift from 2014 and 2015 when the country’s economic situation dominated Greek concerns. See it mapped out here. Weak institutions feed populism: Many Greeks make compromises or take shortcuts to survive. Institutions and the law don’t treat them equally if they’re caught, writes Kathimerini’s Maria Katsounaki. The disruptive prosecutor – Eleni Touloupaki: Opinion is divided about Greece’s chief prosecutor, but what is clear to all is that her work may shake up public opinion ahead of national and EU elections in 2019. That’s why she’s a member of the 2019 POLITICO28 list of doers, dreamers and disrupters. After years of bitter disputes, Greece’s relationship with the EU is starting to normalize. Here’s what that looks like today. MORE SUFFERING, FEWER HEADLINES: When Paraskevi (Vivi) Michou was appointed the EU’s director-general for migration and home affairs earlier this year, she became the first woman to hold the position and the highest-ranking Greek in the EU (others include Irene Souka, who heads the Commission’s HR department, and Commission spokesperson Margaritis Schinas). Michou was in Athens last week, trying to help the Greek government manage another harsh winter for about 60,000 migrants in Greece. Her message: The EU cares. Conditions in the notorious Moria refugee camp in Lesvos have improved, while in Samos, where 4,118 people are housed in a camp with official capacity of 600, they have deteriorated. “There is an acute need for approximately 150 doctors to be sent to the Greek islands,” according to Michou. Greece not only needs them to provide medical care but to close loopholes in registration systems by helping authorities differentiate between refugees who are eligible for asylum and other migrants who can be returned to Turkey. SPIES AND BIKE LANES: The EU wants a spy school: The proposed institution – which would train staff and lay the groundwork for future EU-wide sharing of strategic analysis, best practices and operational information – would be based in Cyprus but overseen by both Cyprus and Greece. The timing, as Europe prepares to bid Britain goodbye, is not a coincidence: With the UK leaving the bloc, the EU will lose a direct link to the Five Eyes intelligence alliance that also includes the United States, Australia, New Zealand and Canada. Meanwhile the European Commission is leaving behind its narrow focus on austerity to roll out messages about EU cash improving daily Greek life. A prime example: URBACT III, an EU program being used by the municipality of Thessaloniki to make the city hospitable to cyclists. GREEKS OUT OF TOUCH WITH THE EU: Greeks admit they understand relatively little of how the EU works – and would like to know more. 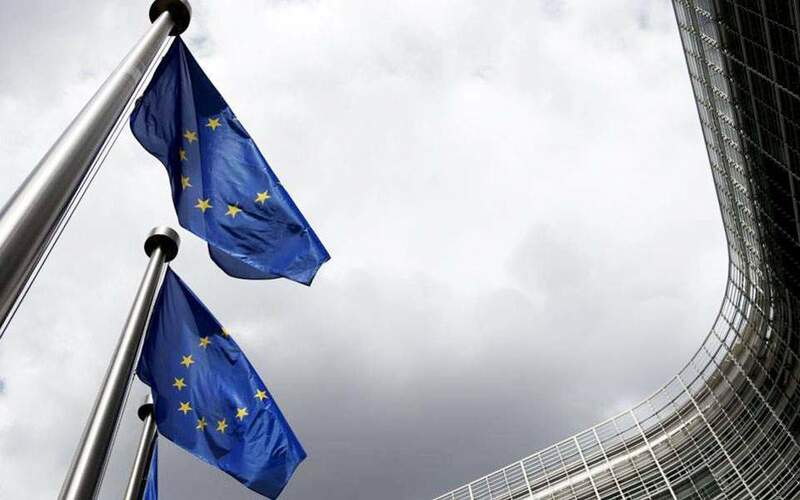 According to an EU survey published last month, one in two Greeks claim they would be more likely to vote in the 2019 election if they were better informed about the EU and its impact on their daily lives. That’s an astonishing figure for a country with compulsory voting that just been through nearly a decade of EU-managed austerity and bailouts. Election manipulation is another concern for many: One in two Greeks say they are worried about potential foreign meddling in the elections. Did you know? Voting is compulsory in Greece but only 60 percent of Greeks voted in the last European election in 2014. EU’S BIGGEST GREEK REFORM? ALEXIS TSIPRAS: Once a radical and openly hostile to social democracy, the prime minister and his left-wing SYRIZA coalition came to power on a populist platform of unattainable promises and vicious attacks on opponents. Tsipras described domestic rivals as puppets of German Chancellor Angela Merkel and the so-called bailout “Troika.” Once in power, he and Finance Minister Yanis Varoufakis alienated fellow eurozone members and were an irritation for the EU institutions. 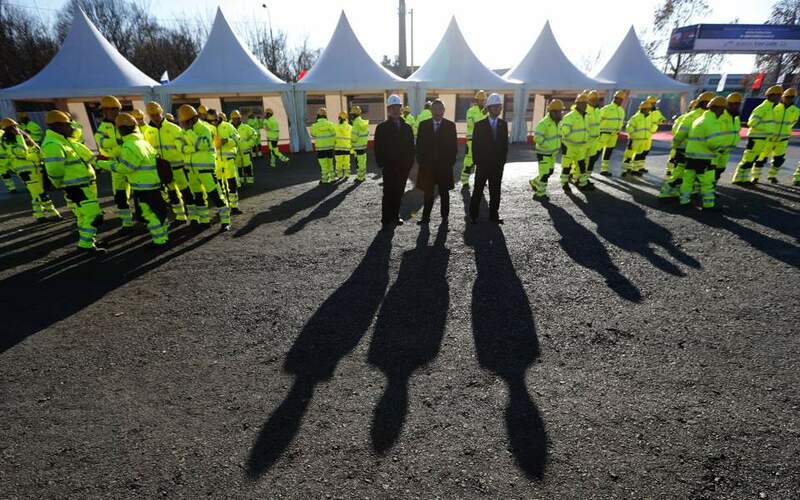 The last stand of their fight was a referendum rejecting a proposed 2015 bailout. Since then, Tsipras has been elbowing aside the former ruling PASOK socialist party and taken up residence under the umbrella of the Party of European Socialists. “The left in power has proven successful in guaranteeing financial stability, but has not fulfilled the promise of revolutionary reforms leading to the redistribution of wealth,” according to historian Kostis Karpozilos. NEW DEMOCRACY HUGS BRUSSELS: Few national political parties are investing as much in their Brussels campaigning and connections as Greece’s main opposition party New Democracy. The head of the European People’s Party EU election campaign, Dara Murphy, made Athens one of his first stops back in June. The Greek center-right party has also donated officials to EPP headquarters. Both Manfred Weber and Alex Stubb held their last campaign speeches ahead of the EPP’s Helsinki Congress in Athens, where the Youth EPP Congress also took place in early November. Weber is scheduled to visit Athens again at least twice before the May election, including as the only foreign guest to address New Democracy’s annual Congress in mid-December. Size matters: The latest polls suggest New Democracy is one of the few EPP parties that is growing in strength, with the umbrella group itself is set to shrink from 217 to 180 MEPs. Party sources told Playbook the party hopes to leverage its numbers into an enhanced power broker role with the EPP. 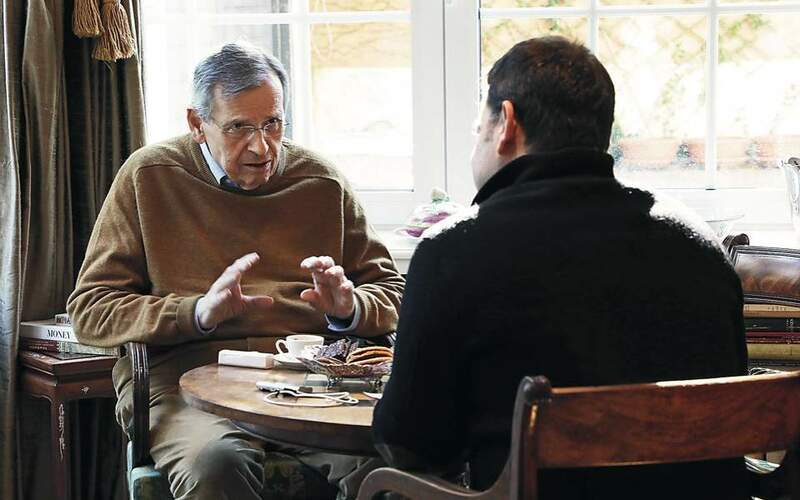 ALL ROADS LEAD TO GERMANY … New Democracy and Weber: The German conservative – and the EPP’s top nominee for the Commission presidency – maintains a close relationship with New Democracy and its leader Kyriakos Mitsotakis. The alliance allows him to flaunt his centrist credentials alongside his well-known links to the EPP’s right flank. Tsipras and the Social Democrats: The Greek prime minister’s speech at the German Social Democrats’ party conference in November was his latest center-left flirtation. Syriza wants to become a bridge between the left and the socialists, and onward to Emmanuel Macron, in the hope of maximizing the influence of progressive forces in the next European Parliament. EARLY (TRIPLE) ELECTION? There’s widespread speculation the prime minister may opt for early elections, to be held on the same day as the European election in May 2019. If that goes ahead, election day will feature EU, national and second-round local elections all on the same day. Why do that? To offer people who voted for SYRIZA in 2015 a way to express their dismay with the EU, in the hopes that their disapproval with carry over into giving the left-wing party another chance domestically. FIRST POST-BAILOUT ELECTION: “The last European Parliament elections of May 2014 gave the populist left SYRIZA its first electoral win, launching its unstoppable 2015 ascent to power,” according to George Pagoulatos, a professor at Athens University of Economics and Business and a top aide to former PM Lucas Papademos during Greece’s early bailouts. Despite a decade of economic strife, Euroskeptics are still relatively weak in Greek politics. Depending on how individual SYRIZA MEP candidates are classified, the Euroskeptic vote could be as low as 15 percent in 2019, and is unlikely to exceed 25 percent. Wrong way: Almost three quarters of Greeks – 74 percent – say the country is going in the wrong direction (that’s nearly exactly the number of people who claim they won’t be voting for SYRIZA). GDP: The Greek economy is expected to grow by 2 percent this year, according to the European Commission. Wage growth: 0.2 percent in 2017. Back taxes: People and companies operating in Greece owe over €103 billion in back taxes and insurance contributions (that’s close to one-third of all public debt). The gender gap: Greece has five female MEPs – that’s less than a quarter of its total number of representatives in Parliament. See a breakdown of women MEPs by political group and country here. 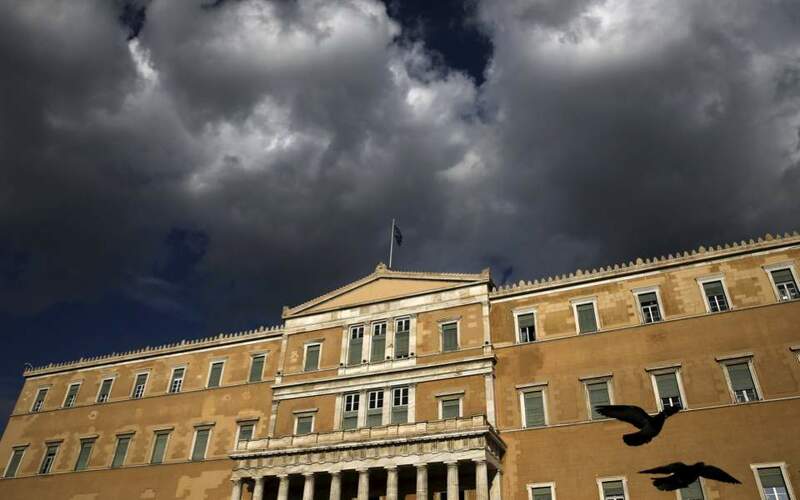 Greece’s delegation is set to narrow: Two current parliamentary parties – the junior governing party Independent Greeks and the centrist To Potami – face a wipeout. The liberal-aligned Union of Centrists is also set to fall short of a seat. Green parties, meanwhile, are not a factor in Greek politics. New Democracy are the big winners: Opinion polls have given Greece’s center-right opposition a 10 percent or more lead on the ruling SYRIZA party since April, and Playbook predicts the party will double its seats from five to 10. Internal EPP polling seen by Playbook suggests New Democracy is certain to win at least seven seats. SYRIZA holds on: The ruling party isn’t doing badly, but it’s down in the polls from its 2015 high. It’s likely to maintain its current tally of six seats. No friends for Golden Dawn: Greece’s neo-fascist party is no more popular in the European Parliament than it is at home, where it is consistently stuck at 8 percent in the polls. The party will keep at least one seat, two at best. Small change: Greece’s new center-left alliance Movement for Change – which includes former leftist establishment party PASOK and various offshoots, and is affiliated with the Socialists and Democrats (S&D) in Brussels – is on course to win two seats. The Greek Communists are on track for one seat, down from two. Most at risk MEP: Socialist MEP Eva Kaili, a former journalist and now a blockchain expert, hamstrung by the low center-left vote in Greece. Most powerful MEP: According to VoteWatch’s algorithm, it’s SYRIZA’s Dimitrios Papadimoulis, a Parliament vice-president.